Acting director of the Consumer Financial Protection Bureau, Mick Mulvaney (who also serves as director of the Office of Management and Budget), once called the CFPB a “sick, sad” joke that “some of us would like to get rid of. . .” In the three months since he has taken charge of the consumer watchdog agency, Mulvaney has appeared intent on delivering his own punchline to that joke. This week, Mulvaney released the CFPB’s Strategic Plan for fiscal years 2018-2022. Perhaps nothing is more striking than comparing the goals of this strategic plan to the goals of the original Draft Strategic Plan, which was prepared prior to Mulvaney’s arrival (and which is substantially similar to the 2013-2017 Strategic Plan). The original plan identified the CFPB’s goals as “[p]revent[ing] financial harm to consumers while promoting good practices that benefit them,” and “empower[ing] consumers.” The agency also took responsibility to “inform the public. . . with data-driven analysis of consumer finance markets and consumer behavior.” This vision of the agency’s role led to a number of important regulations and reports, including a groundbreaking study on mandatory arbitration clauses that concluded that these clauses broadly suppress consumer claims and the ability to obtain meaningful relief for injuries. The report resulted in a first-of-its-kind federal regulation prohibiting arbitration clauses containing class action bans in consumer financial products, which, unfortunately, Congress rescinded under the Congressional Review Act before it could take effect. In Mulvaney’s version of the strategic plan, preventing harm to consumers does not appear to be a priority. In his introduction, Mulvaney emphasizes limiting the agency’s role, claiming that the original strategic plan exceeded the agency’s authority under the Dodd-Frank Act. As a result, the new strategic plan’s goals do not highlight consumer protection but rather “access to financial markets.” The goals pay lip service to “fair, transparent” markets, but it’s reasonable to question whether Mulvaney’s version of a “fair and transparent” market provides any real protection for the most vulnerable consumers, given his opposition to regulations that protect consumers from mandatory arbitration and predatory lending practices, and his efforts to curtail CFPB’s work with reviews of its adjudicatory and enforcement processes and it civil investigative demands. Whereas the original strategic plan clearly emphasized the welfare of consumers, the new plan is more concerned with the welfare and competitiveness of the free market. Among its objectives for ensuring consumer access to markets is “to reduce unwarranted regulatory burdens,” and “facilitate access and innovation,” in financial markets. Unregulated “innovations” were a leading cause of the financial crisis that prompted Congress to create the CFPB in the first place. However, under the new plan, one of the CFPB’s most important objectives is to get out of the way of the financial industry, and hope that the free market will do something it has been proven incapable of doing in the past—protect consumers. This is made plain by the fact that the sections of the strategic plan discussing deregulation and the free market are nearly two-thirds longer than the section on protecting consumers from “unfair, deceptive, or abusive acts,” which warrants a measly two bullet points worth of pablum. 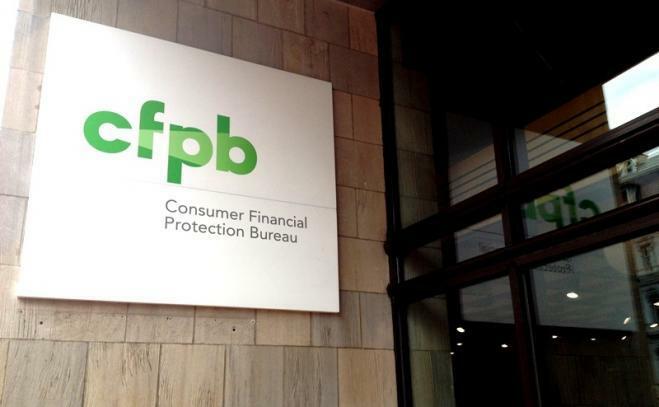 With the release of the CFPB’s new strategic plan, the writing is on the wall. Under its new leadership, the agency designed to protect consumers is poised to cast them to the mercy of the free market. As Mulvaney made clear in a recent USA Today op-ed defending his tenure at CFPB, he is “looking for a lighter regulatory hand.” Shielding himself in high-minded ideals of “humility toward those we serve, prudence in the exercise of our authority and respect for the law,” he is leaving the American people vulnerable to the whims of a “free market” that has time-and-again proven itself all too ready to take advantage of them and abandoning the core mission of the agency—found right there in its name—to protect consumers.